As we prepare for the launch of MSC Bellissima and MSC Grandiosa, MSC Cruises are continuing to grow and expand their sensational fleet. We had the privilege of speaking with Managing Director, Antonio Paradiso on his insight and plans for MSC Cruises over the coming years. As the fleet expands, we are seeing many new and innovative features on-board your cruise ships. Which are you most excited about? At MSC Cruises we are constantly innovating, whether that be installing the latest technology, seeking new internationally-renowned chef partnerships or developing our on-board entertainment programme. 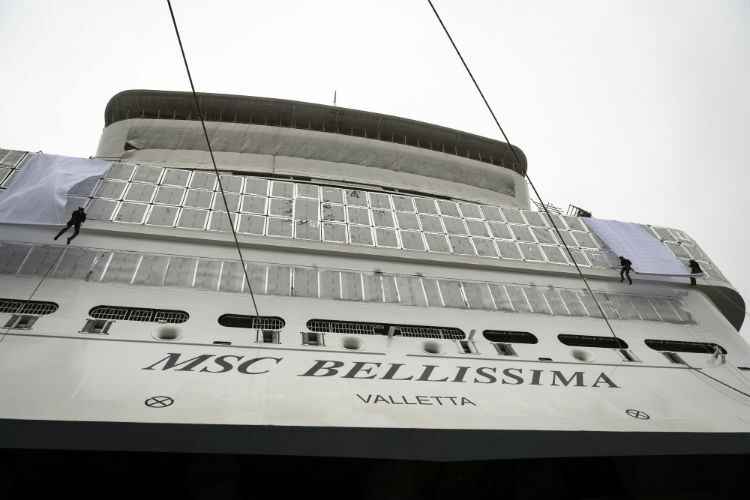 MSC Bellissima will be launching in March next year and I’m very excited about the new features on the ship. From meeting Zoe, the digital personal assistant that will feature in every cabin, to seeing the two brand new Cirque du Soleil at Sea shows there’s so much to get excited about. What is something everyone should experience on-board their MSC Cruise? It has to be the huge variety of dining options. On-board MSC Meraviglia there are 12 unique dining venues from a British Pub serving fish and chips to the sushi bar that overlooks the promenade. There are some really good dining packages that you can buy in advance that allow you to experience several of the speciality restaurants at a reasonable cost. If it’s the main dining room then make sure to try our amazing focaccia made fresh every day or our signature pasta dishes. What is your favourite cruising memory? I was born in Brighton and grew up in Naples so I’ve spent most of my life by the sea. When I was younger I watched the ship’s come into the port hoping one day I’d get to travel on such a glamorous ship so working for MSC Cruises really is a dream for me. More recently it has to be the launch of MSC Meraviglia in Le Havre France. The launch marked the start of our new phase of expansion which was a real milestone for MSC Cruises. What is one thing that MSC Cruises simply couldn’t exist without? That’s an easy one – our people. We have over 17,000 people working for us worldwide from over 130 countries and yet we all function as one big family. From the crew on-board, to the shore side staff we all share a passion for what we do which makes working for MSC truly unique. 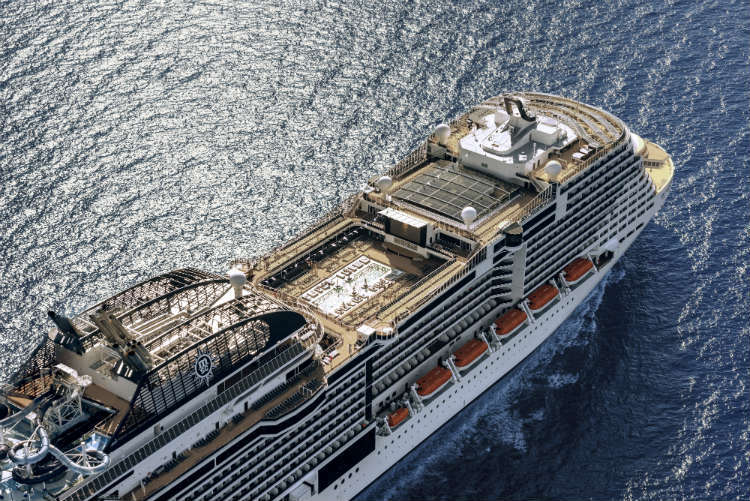 What advice would you give someone cruising with MSC for the first time? The same advice I’d give to someone going on any cruise for the first time – be open minded. 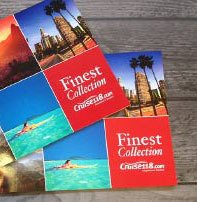 Cruising is a really unique type of holiday that provides the opportunity to visit up to seven different destinations in seven days, all without unpacking a suitcase. At MSC Cruises we carry guests from over 170 countries so the international atmosphere on-board is something that really sets us apart, embrace the new cultures and experiences and you’ll love your MSC Cruise. With the 10-year investment plan in place, where do you expect MSC Cruises to be once this comes to a close? One thing I’ve learned during my 10 year career with MSC Cruises is that we are restless in our approach, so although the next 10 years is pivotal for us it won’t be the end of our journey. What we know for sure is that by 2026 our capacity will have more than doubled to 5.2 million passengers making us a major player in the global cruise industry. If you didn’t work in the cruise industry, what do you think you would be spending your time doing now? I have a huge passion for music and when I was younger I always wanted to be a DJ. I loved the idea of working with music and getting to travel the world. I’ve been very lucky that my travel dream came true and through working with MSC Cruises and my personal passion I’ve had the opportunity to visit over 100 countries but there’s still lots more on my bucket list. With the launch of MSC Bellissima fast-approaching, what can you tell us about the ship that makes it stand out from the rest of the fleet? MSC Bellissima, alongside sister ship MSC Meraviglia will be the biggest ship in our fleet. She’ll carry 5,700 passengers, initially on seven-day cruises to the Mediterranean before moving to the Emirates sailing from Dubai. The ship will have new chef partnerships leading to two new restaurant concepts as well as a newly designed MSC Yacht club. What is it like to work for MSC Cruises? At MSC Cruises every day is different. It’s a passionate and dynamic environment that I thrive on working in. We have a flat structure which I apply in the UK office, my door is always open for my colleagues and I encourage the development of new ideas and initiatives constantly. It also applies at a global level where our CEO allows the UK market to make changes to the MSC Cruises product depending on the needs of our country. This year we have enhanced the product on-board MSC Magnifica sailing from Southampton to include some British home comforts and the response has been great. Where is your ultimate cruising destination? As I love to travel I’m not sure I could pick just one so I’m going to be cheeky and say I’d love to do a World Cruise. The opportunity to visit 43 different ports across 23 countries is amazing and our 2020 itinerary has some destinations I’d love to explore including an overnight stay in Ushuaia, Argentina. MSC Cruises will be launching two new ships in 2019, MSC Bellissima and MSC Grandiosa, with a further six ships set to join the fleet by 2026. 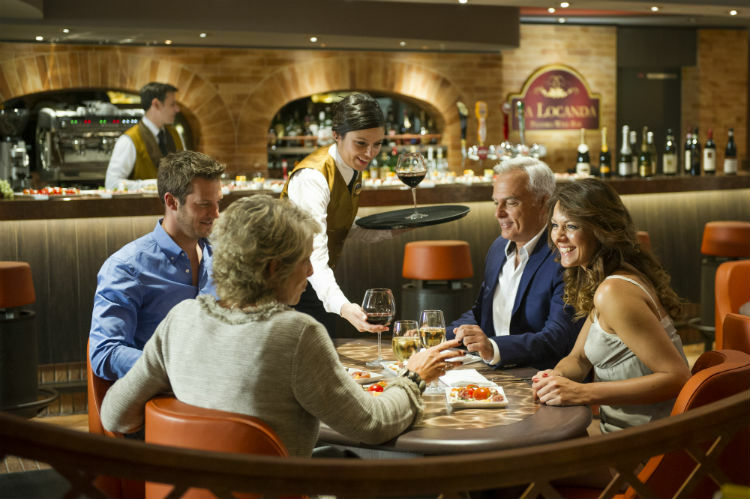 It’s certain that as the cruise line expands, MSC Cruises will continue to offer their sensational service accompanied by elegant design, delightful dining and award-winning entertainment. Find out more about MSC Cruises on our website and see what you can expect on their fantastic new ships! If you have any questions or would like to make a booking, please call our 0808 1234 118 for expert advice and award-winning customer service.